We’ve all been a part of an email chain that just won’t quit, and on a long enough timeline it really starts to get annoying. Even if you delete it, boom—it returns again with another reply. 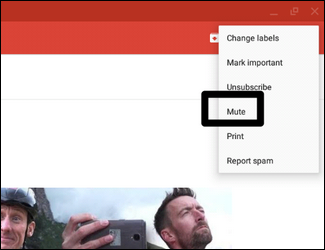 Fortunately, you can use the Mute feature in Gmail to permanently silence the chatter. What Is “Muting” in Gmail? Just like on your TV, “muting” an email basically silences it. This means that all replies, forwards, and the like from that particular thread will no longer notify you or even hit your inbox—they’ll automatically be archived. So, in a sense, it’s almost like a one-button solution that sets up an automatic filter that keeps the message from bothering you. It’s also worth noting that it’s just as easy to unmute said message if it suddenly becomes important again. Or, you can go into your archive and read the entire thread at a later date. Actually muting emails is crazy easy. In the Gmail web app, first highlight the email by clicking the little checkbox next to it. Next, click the “More” button at the top. From there, just click “Mute.” That’s literally all there is to it. Alternatively, if you’re a keyboard shortcut kind of user, you can just hit “M” on your keyboard with the email open (not just highlight) to quickly mute it. 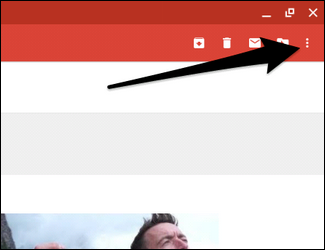 If you’re using the Gmail mobile app, it’s a little different. Instead of highlighting the email, go ahead and open it. From there, tap on the three dots in the upper right corner and select “mute.” Done. Since muting emails automatically archives them, it can appear to be a bit of a challenge if you ever need to unmute one. But in reality, it’s pretty simple if you know where to look. This will show all of your muted messages. To unmute it, just follow the muting instructions above, but select “unmute.” Nothing to it.